Projects to support and be inspired by! that could use your dollars and/or shares. amazing things being made around you! Give them your money, shares, likes, or love! CHARGER is a 5 minute action film - a very short story of a rescue with a twist. A man breaks into a warehouse to save a woman being held by thugs and their boss, but the woman ends up turning the tables in an unexpected way. 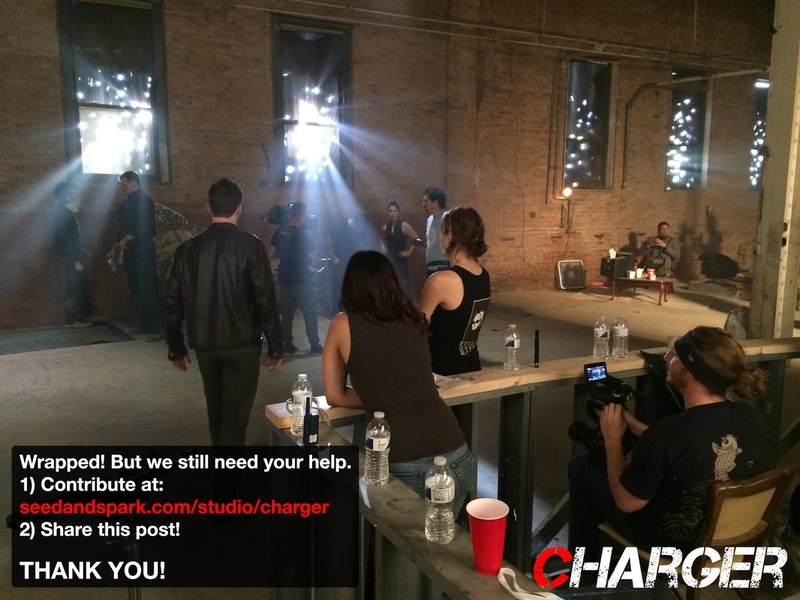 CHARGER will be filmed in one continuous tracking shot. I am assistant producing this project and can't wait for you to see it. DON CHIPOTLE by Juan Francisco Villa, is a magical adventure story, where two 11-year old boys cross a vast metropolis in order to put the world to right. Inspired by the classic story of Don Quixote and Juan Villa's experience growing up in an immensely violent environment, this coming-of-age play explores cultural identity, violence, death, family and friendship and the importance of imagination and hope in any child’s ability to survive. This epic adventure, told through puppetry, animation, music and a children’s choir, will birth a new superhero. I am puppet and animation designing. This will be a must see-- DCASE Storefront in August! A mockumentary style series starring Brett Elam and Josh Logan as… EVERYONE. Oracle’s The Forty 4 is YOU! This program was designed with you in mind. Oracle supports many different programs, including mainstage shows, outreach programs, late night programming and volunteer work. We cannot do it alone. We depend on people like you to support all the programming at Oracle, so everyone has the chance to enjoy the arts. Giving even at the $10 level provides twelve public access seats to performances each season. The program is simple. Sign up once for a certain level of giving. Each month that amount will automatically be deducted from the account you sign up with. It’s really that easy to support all the wonderful programming Oracle has to offer, while at the same time, you having the chance to do community service each and every month. Where else can so little do so much to ensure everyone has access to high-quality live performing arts?